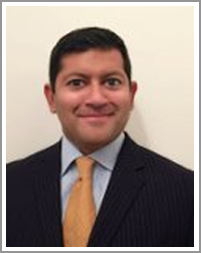 Dr. Paul Manadan is a board-certified Interventional Pain Management Specialist and Anesthesiologist at New Millennium Pain and Spine Medicine with multiple locations throughout the New York Metro area. After completing an accelerated BS/MD program, he completed an anesthesiology residency and pain fellowship at the University of Michigan where he also served as chief resident. His practice consists of treatment for a wide variety of painful conditions affecting the neck, back, shoulder, hip, and knees. He believes in a multimodal treatment program for pain and frequently prescribes oral as well as topical pain medications in conjunction with interventional pain management techniques. In addition, he believes in a multispecialty approach to pain management and works closely with orthopedic surgeons, neurologists, physiatrists, physical therapists, chiropractors, and acupuncturists. Dr. Manadan consistently receives high ratings from his patients in all areas including and especially bedside manner and wait times. He welcomes all patients and would love the opportunity to help you minimize pain and maximize life!